Multiple models are based on input windows and desired output levels. Model PAL10 is best for cascades having a -10 dBm per transponder output. 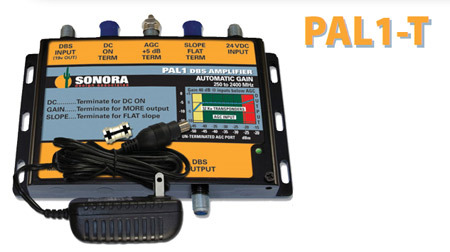 Model PAL5 is the mid-power unit with a -5 dBm per transponder output over a -25 to -45 dBm input. Model PAL1 is the high-power unit @ -1 dBm.